BOCA RATON, FL (January 24, 2013)– Nine-time GRAMMY® award-winning singer and songwriter Natalie Cole will headline at the second annual GENERATIONS, a Nat King Cole Generation Hope Inc. concert benefit to raise funds for music education on Friday, March 1, 2013 at the Keith C. and Elaine Johnson Wold Performing Arts Center at Lynn University in Boca Raton, Florida (the venue of the final 2012 Presidential Debate). 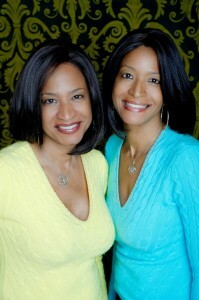 Twin daughters of music legend Nat King Cole, Timolin and Casey Cole of Boca Raton, launched Nat King Cole Generation Hope, Inc. to honor the legacy, music and life of their father Nat King Cole in 2008 after learning of budget cuts in public schools directly affecting the arts. Since that time, donations in excess of $66,000 have benefited more than 5,000 children with “the greatest need and fewest resources” in Miami-Dade, Broward and Palm Beach counties. This past summer 105 students from 7 Title 1 Palm Beach County schools were transported to Lynn University in Boca Raton to attend the inaugural Nat King Cole Generation Hope, Inc. Summer Strings at Lynn University, a camp that provided elementary students without means an opportunity to receive the highest quality string instruction. Nat King Cole Generation Hope, Inc., the School District of Palm Beach County and Lynn University Conservatory of Music worked together to make this week-long program happen with Nat King Cole Generation Hope, Inc. funding the cost of running the camp, the school district providing transportation and lunches for the campers and the university donating the space. Students received small group section instruction and private lessons with Lynn’s conservatory students serving as their mentors. The week-long camp culminated in a concert performed in the Keith C. and Elaine Johnson Wold Performing Arts Center. The GENERATIONS concert event begins at 7:00 p.m. with a reception hosted by Celebrity Cruises featuring music performed by students from the Lynn Conservatory of Music and an ensemble of children they mentored during Nat King Cole Generation Hope Summers Strings and a silent auction that will include a 4-foot x 3-foot original painting of Nat King Cole by Salvatore Principe, a vintage handbag from the private collection of Maria Cole, wife of Nat King Cole and mother of the Cole sisters, Natalie, Timolin and Casey; and a limited edition print of the legendary artists who performed and recorded “We Are The World”, including Michael Jackson, Quincy Jones, and Diana Ross with each artist’s signature and portrait, along with the musical score of the song. At 8:00 p.m. the attendees will enjoy music from the talented, local youth performers followed by the performance by headliner Natalie Cole. VIP tickets priced at $350 include premier seating, open bar at the Celebrity Cruises pre-concert reception, a private meet-and greet with performers, and post-event dessert reception; Donor tickets priced at $150 include priority seating and two drink tickets for the Celebrity Cruises pre-concert reception; and General Admission tickets priced at $75 with cash bar at Celebrity Cruises pre-concert reception are available, but limited. GENERATIONS Concert sponsors include Silver Sponsor Celebrity Cruises; Bronze Sponsors Allied Health Institute and West Boca Medical Center; Patron Sponsor Florida Power & Light; Partners Boca Raton Bridge Hotel, Cruisin-America, Kaye Communications, Inc., Lynn University and SmartCruiser.com; Media Sponsors The Boca Raton Observer, The Boca Raton Tribune, Seaview Radio and LivingFLA.com. The mission of Nat King Cole Generation Hope, Inc., a 501(c)(3) non-profit organization, is to provide music education to children with the greatest need and fewest resources. It is accomplished by funding programs that provide for instruction, mentoring and resources. Nat King Cole Generation Hope, Inc. accepts grant applications throughout the year, which are reviewed by its Board of Directors and grants are awarded twice yearly based on the merit of application and availability of funds. Organization board members include Timolin Cole, president; Casey Cole, vice president; Robin Coven – Levin HomeCare; Rainford Knight – Florida Institute of Finance, LLC; Toni Mastrullo – Telecom Resources of America, Inc.; Sharon Gordon Mullane, Esq. ; Thais Piotrowski – Ameriprise and Milana Walter. GENERATIONS Concert sponsors include Platinum Sponsor Patriot National Insurance Group; Silver Sponsor Celebrity Cruises; Bronze Sponsors Allied Health Institute, Excel Services Corporation and West Boca Medical Center; Patron Sponsors Florida Power & Light and Global Tower Partners; Partners Boca Raton Bridge Hotel, Cruisin-America, Kaye Communications, Inc., Lynn University and SmartCruiser.com; Media Sponsors The Boca Raton Observer, The Boca Raton Tribune, Seaview Radio and LivingFLA.com. To purchase benefit concert tickets visit natkingcolefoundation.org/concert or call 561-237-9000 or more information on Nat King Cole Generation Hope, Inc., call 561-213-8209 or email info@natkingcolefoundation.org.